When Chris Kermode starts work as the ATP's new executive chairman in January, he will continue the impossible search for the perfect tennis calendar and consider whether London has any serious rivals as home of the World Tour Finals. He will also need to do his bit to ensure the sport promotes a robust drug testing programme, while placating those leading players who have expressed distrust in the system after two much-discussed recent cases. There were nearly 20 times as many out-of-competition tests in athletics as there were in tennis in 2012. They are comparisons that should shame tennis. Novak Djokovic is the most high-profile example. The world number two has been fiercely critical of the doping control officer who was on duty when his good friend Viktor Troicki failed to take a blood test in Monte Carlo in April, and was ultimately banned from the sport for 12 months. Andy Murray is much more supportive of the system in place, but there are others who have serious misgivings: I was party to a conversation in London recently in which a leading agent described (in very colourful terms) why he feels Troicki was so badly let down by the authorities. That should be of concern to any executive chairman, although it doesn't mean there should be any less responsibility on the shoulders of the player. The doping control officer in the Troicki case could, and should, have been more persuasive, but two independent panels have concluded that she did inform the Serb of the consequences of leaving the anti-doping room without first providing a blood sample. Athletes across all sports tend to take a hardline stance when talking theoretically about sanctions, although their resolve can be weakened when a friend or training partner is implicated. It is always the player's responsibility to provide a sample. Tennis's drug-testing programme is managed by the International Tennis Federation on behalf of itself, the ATP Tour, the WTA Tour, and the four Grand Slams. Dr Stuart Miller heads up the ITF's anti-doping operation. "I don't know if Mr Djokovic has read the full decisions," he told me, when we discussed the Troicki case last week, "but they are very clear in their findings." "We're not here to get into wars of words with individuals over this, but what we must do is have a strong set of rules that are upheld consistently not only just in tennis, but across sport in general." 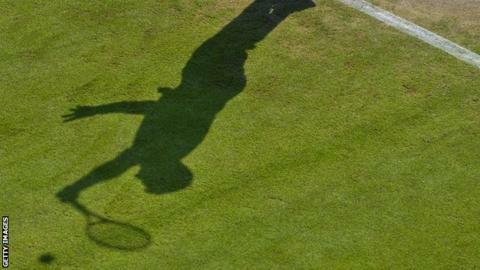 Since August 2011, the Court of Arbitration for Sport has cut the length of bans served by four tennis players. In October, Marin Cilic's ban for testing positive for nikethamide was reduced to four months on appeal. Eleven days later, when Troicki's suspension was reduced by six months, the ITF issued a press release dripping in frustration. The uncomfortable truth for those running tennis, however, is that they have not invested enough in the battle against doping in recent years. The number of blood tests - and out-of-competition tests - has been pitifully small. The World Anti-Doping Agency's analysis from 2012 shows that blood tests accounted for less than 5% of the total number of tests conducted on tennis players. Athletics carried out 3,947 blood tests in that calendar year. Tennis conducted only 166. There were nearly 20 times as many out-of-competition tests in athletics as there were in tennis. Even allowing for the greater number of those involved in the various track and field events, they are comparisons that should shame tennis. The 2013 figures should make for better reading, as a number of changes have been made to the sport's anti-doping programme in the course of this year. There is now a higher proportion of both out-of-competition and blood testing - and biological passports have been introduced for the players. It appears more funding has been provided, although whether it is sufficient is highly debatable - especially as researchers in Sweden recently identified a fairly common gene that would prevent some of us from ever returning a positive test. A robust and well-funded programme is essential to the integrity of the sport, and also to those of us who regularly field questions from people who think that what they are watching is just too good to be true.